The SERE™ 70 provides a lightweight, ecologically friendly, multi functional lighting system. The SERE’s extremely durable LED light source will continue to operate well beyond the life of traditional Chemical Light Sticks. The SERE™ 70 provides a lightweight, ecologically friendly, multi functional lighting system. The SERE’s extremely durable LED light source will continue to operate well beyond the life of traditional Chemical Light Sticks. Engineered for durability, the SERE 70 is fully functional in the humid jungles of Panama, the cold extremes of Afghanistan. 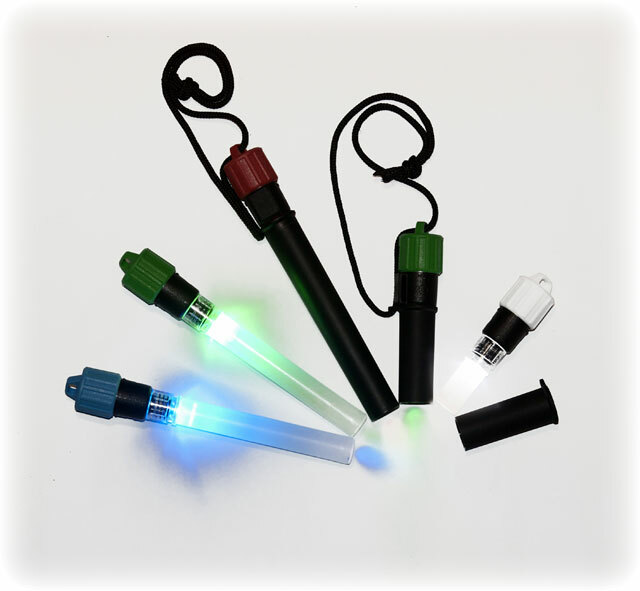 Unlike traditional Chemical Light Sticks, the SERE has an ON/OFF switch which provides for better light discipline, while also making the light reusable. With the light positively turned off there is no signal emission unlike a Chemical Light Stick that you have to either bury, or stuff deep inside your ruck, a simple twist of the switch, and the SERE light is Off. Reusability eliminates the need for the user to carry multiple Chemical Light Sticks on mission reducing the weight of the soldiers gear. The SERE model light stick also includes a shield allowing the light signal to be directed for map reading or as a tactical illuminator. In a No-light Engagement, the soldiers Night Vision Goggle IR illuminator becomes the target. As a tactical illuminator, the shielded IR model SERE can be used in place of the NVG IR illuminator allowing the IR signal to be directed away from the users body dramatically increasing the soldiers safety during CQC operations. The SERE light gains it’s name form the Survival Evade Resist Escape acronym, and as the acronym’s purpose is to remain undetected for as long as possible while evading the enemy; the SERE is built small, and operates effectively as a multi-functional, multi-purpose tool. A 30” attachment lanyard is included with each SERE light stick. Available in a variety of Light Output Colors. Please select your color option below before adding to your cart.